This pretty in purple sled doesn’t miss a trick. 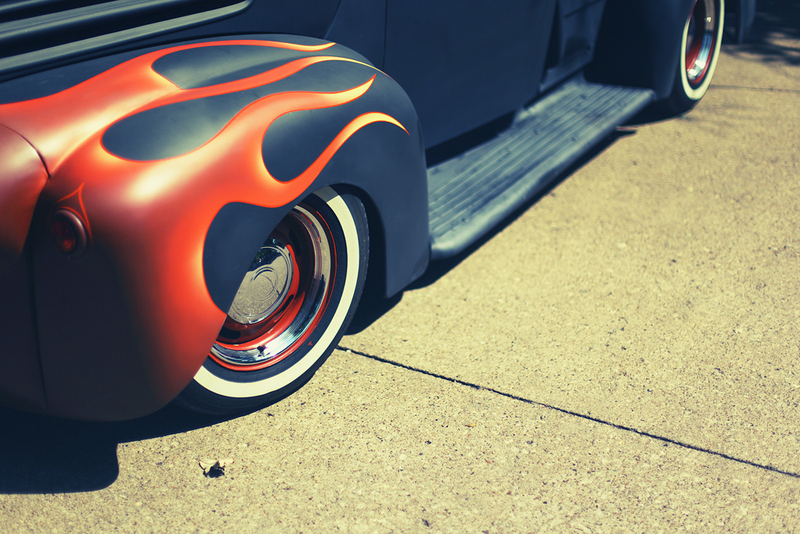 The 32nd annual KKOA Lead Sled Spectacular in Salina, Kansas was hot… figuratively and literally! With temperatures topping out at a very humid 105 degrees, participants earned their dues at this show. Despite the heat the turnout was huge with lead sleds galore. 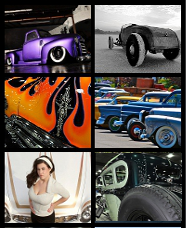 Also, in attendance were hot rods, gassers, rat rods and few other random rides rounding out the diversity. Hot flames on flat black paint were an eye-grabber on this pick-up. 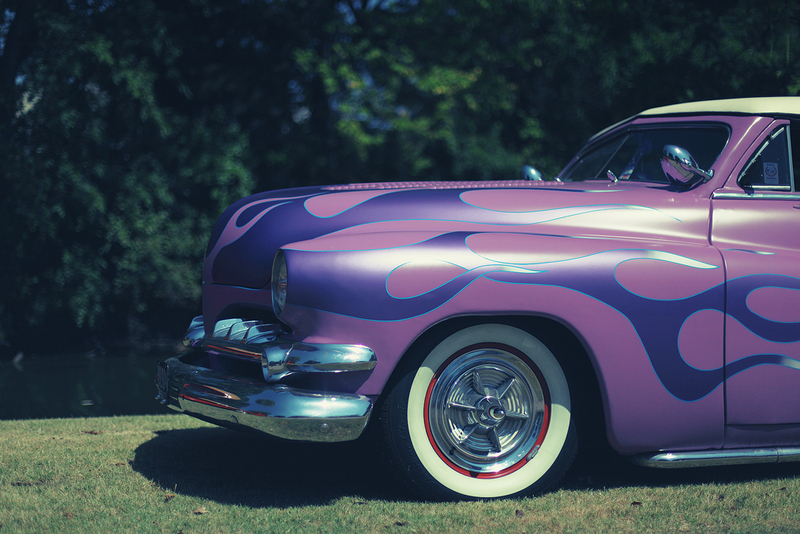 Oakdale Park was a wonderful location for the show, with plenty of space all those awesome custom cars. In addition, it offered beautiful mature trees offering up some wonderful shade to escape the heat. 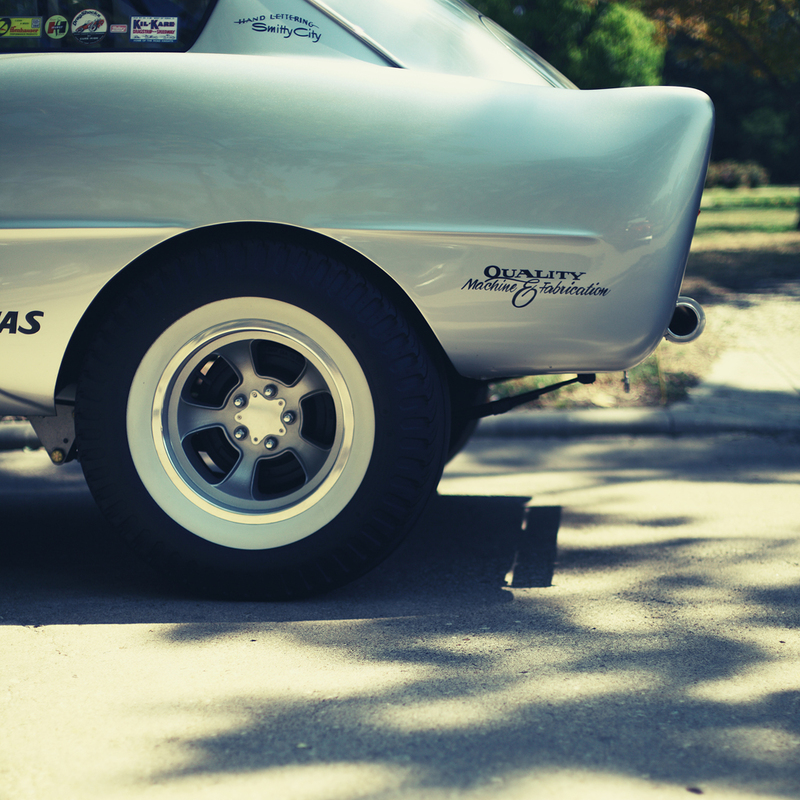 Events were not limited to the park, with a parade, cruising, drag racing and after-parties. Good times and fond memories were found by all at this great event. 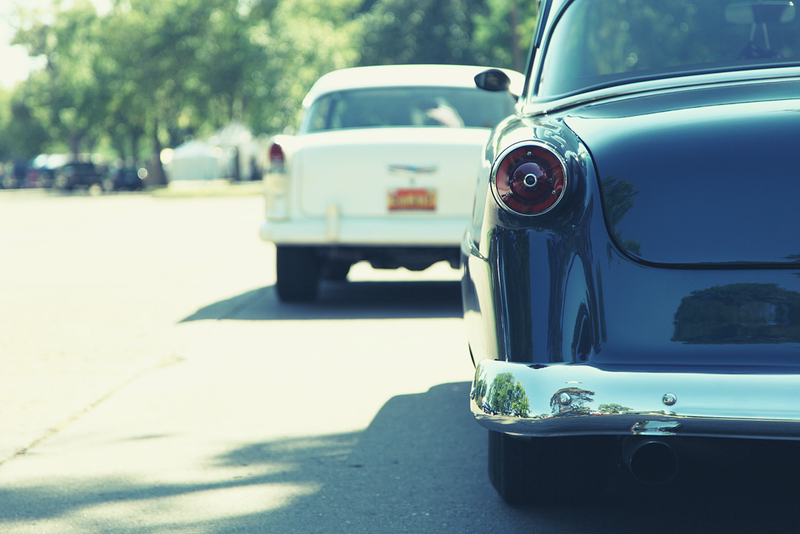 An early arrival Chevrolet and Ford that couldn’t wait to get the party started. 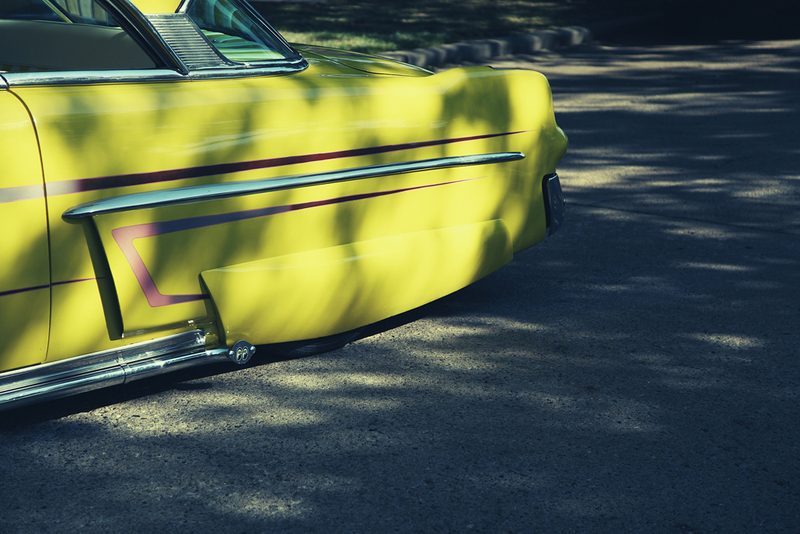 A dropped and skirted kustom cruising the park. The attention to detail had to be seen to be believed on this Henry J Gasser. 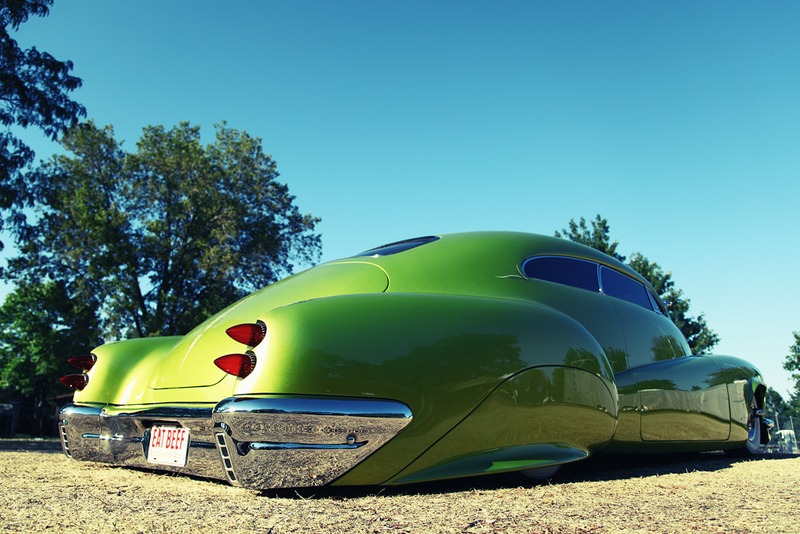 This green Buick was a show standout. 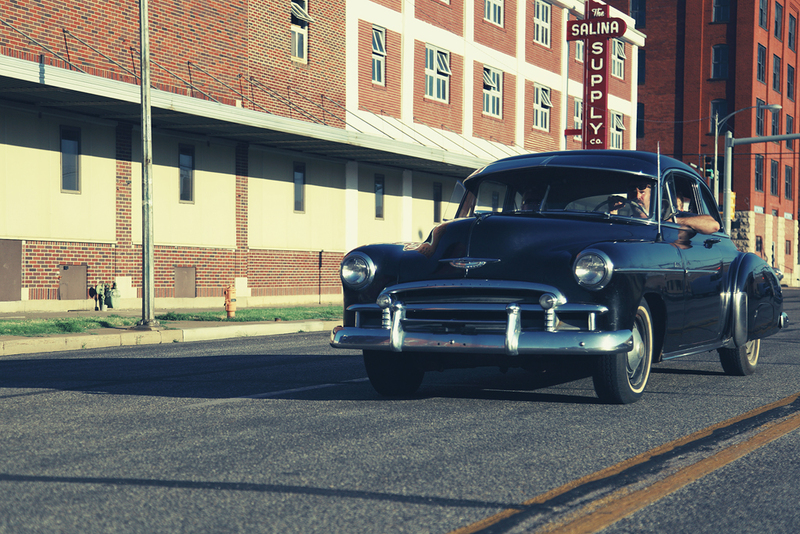 Beautiful Chevy rolling through town. 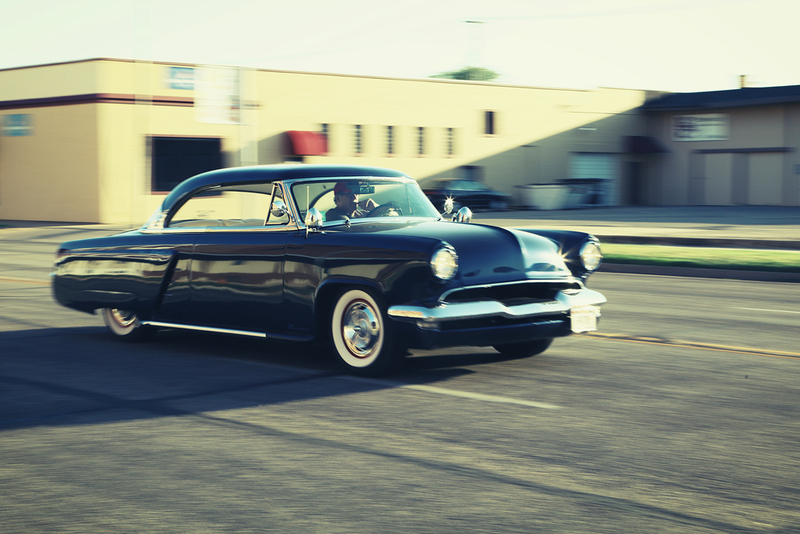 Custom cruisers were everywhere in Salina. 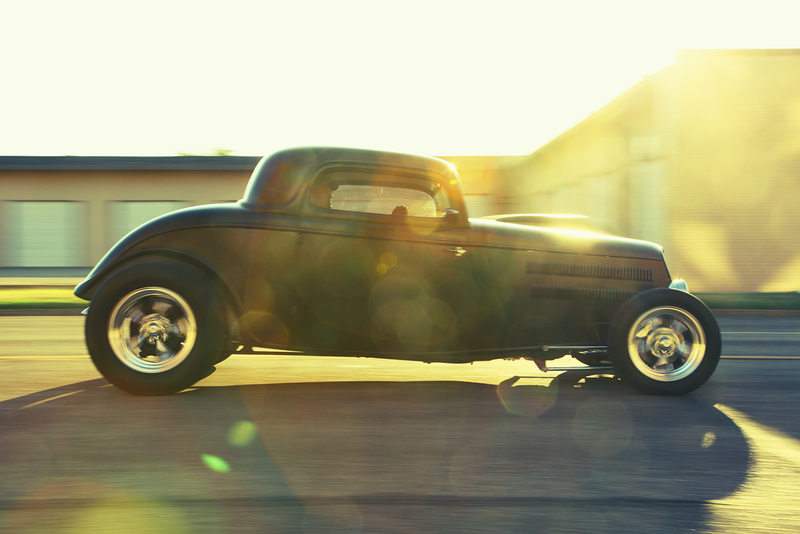 A black hot rod coupe struts her stuff. Please show your support of Mark with a comment below. Was there for the event. Have several 100 pictures. Even though it was 100+ it still was a blast. Moar pics of the Henery J NOW!!! (Yes I spelled “more” that way). Hate to tell you, but one of the two early arrival Chevy’s in the Photo above that could not wait is a 53-54 Ford. Great Pictures!